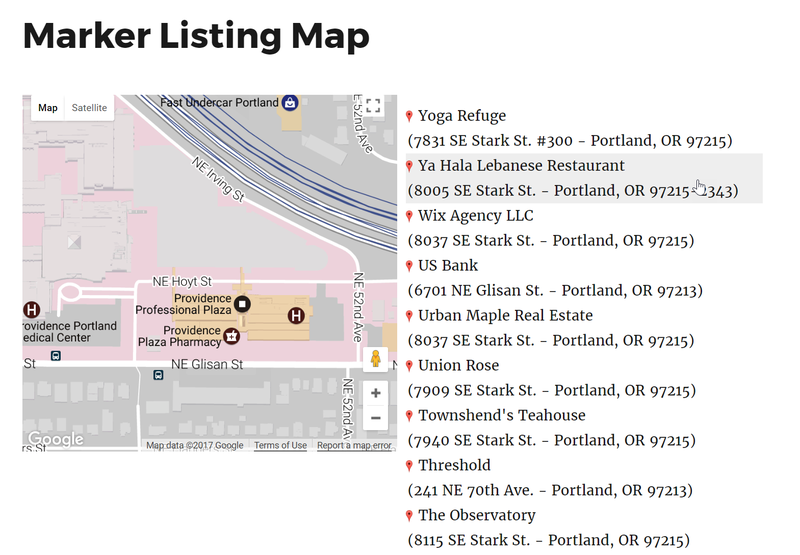 This article covers displaying the Marker Listing on either side of the Map with WP Google Maps Pro. 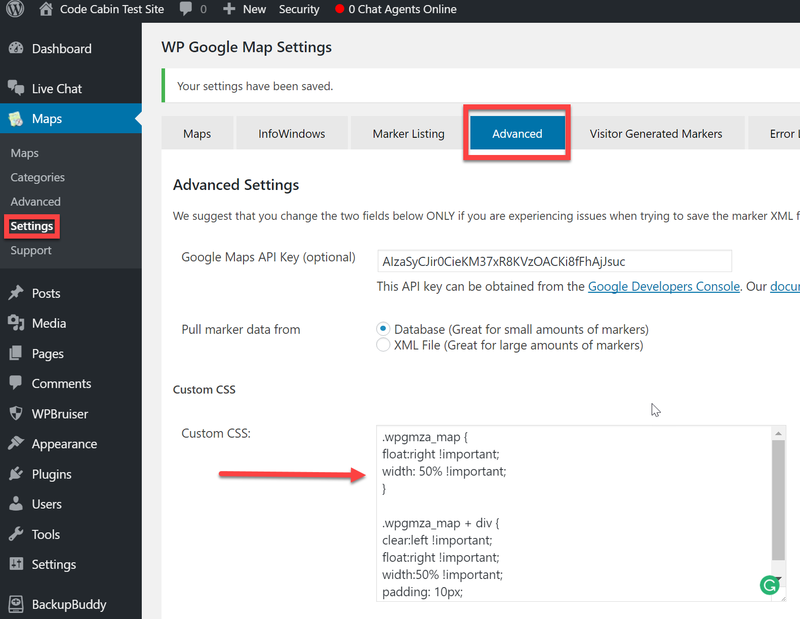 The Custom CSS feature discussed is available with the free version of WP Google Maps, but Marker Listings require the WP Google Maps Pro Addon. This documentation is current for WP Google Maps version 6. 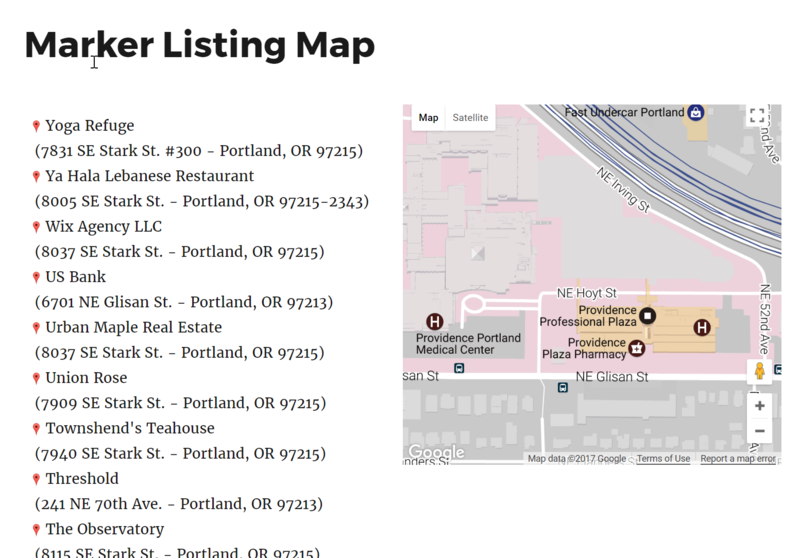 WP Google Maps Pro allows you to display a Marker Listing either above or below your Map. Some Site Owners have asked how they can display the Marker Listing to either side instead. This can be done easily with a bit of Custom CSS. Then scroll down and click the Save Settings button. 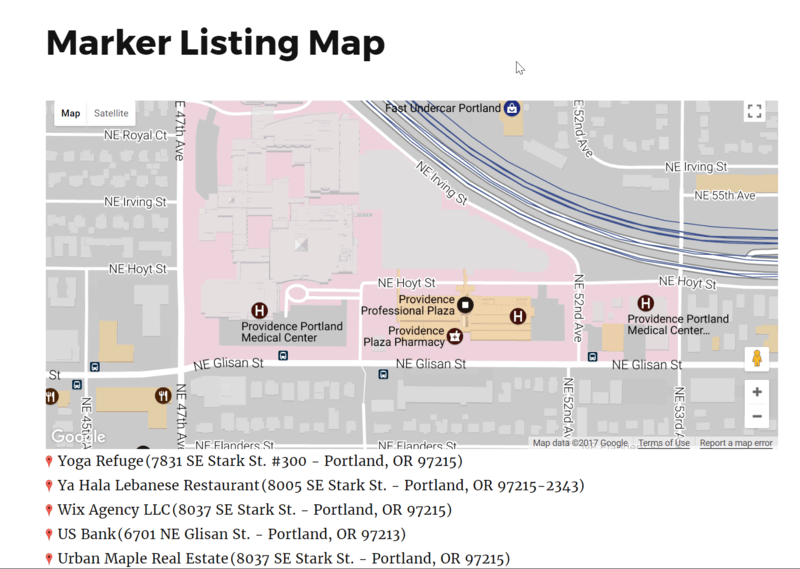 This article covers displaying the Marker Listing on either side of the Map with WP Google Maps Pro. If you need further assistance, feel free to post on our Support Forums or visit our Support Desk. Is is possible to apply this custom css to an individual map and not all maps? Hi there. The Map would need to be targeted specifically by using a class. Does this help? I would like to apply this custom css to an individual map and not all maps. You say the map would need to be targeted specifically by using a class. OK, but how can I do this? You can use a selector like this: `.wpgmza_map_123` to target map ID 123. If you’re looking to target a component outside of the map panel (eg store locator or marker listing) they work in a similar way. Please let us know specifically what you’re trying to alter if you need help with the selectors? This would be great however I can’t seem to get this to work. What pieces of the code need to change or can it be simply cut in paste (which is not working for me). New to Wpgmaps, great plugin thanks! I also have the pro version. Just finished my first experimental map. Just a quick question. Once the map is done, with marker, url’s etc I want it to be static on the website, its very frustrating when the map zooms in and out with mouse scroll. I have looked everywhere, but don’t see an option for that, is there such and option? Hi there. When you go to Maps –> Settings –> you should see an option to enable or disable Mouse Wheel Zoom via a toggle button. Does this help? Hello. I found this and it partially addresses a question I had about list placement. Further to that, is it possible to customize the style of the list? I’m looking to do something similar to this: http://www.bywayswestmass.com/activities/biking/ (which I realize was done with a different plug-in). At smaller screen widths the list would go above and I assume that could be accomplished via a media query. Also, can the list be configured to be scrollable? So that if there are many locations in the list only a predetermined number appear by default. This is to allow the partial list and map to be viewable on smaller devices. You are still able to add custom CSS by going to your Maps –> Settings –> Advanced Tab.